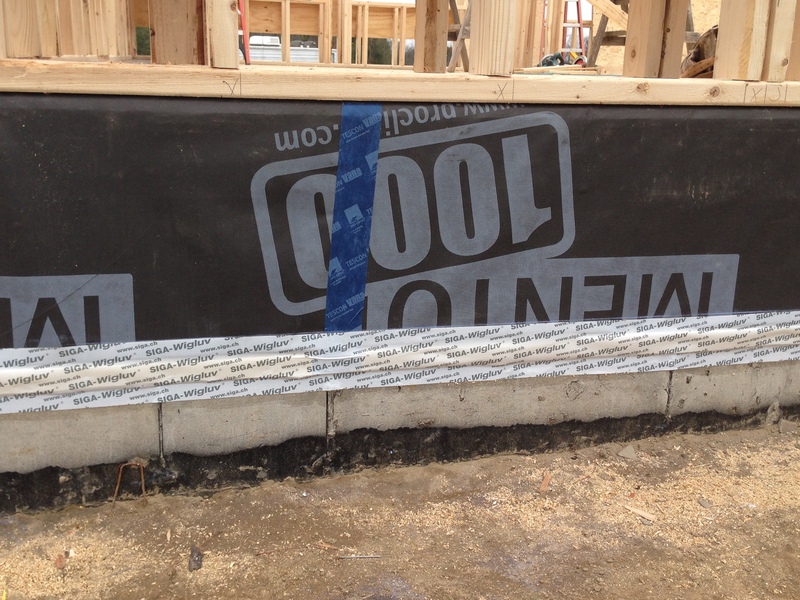 To really obtain full air sealing on the concrete walls,we taped the Stego to the wall first, then overlapped the Mento, primed and taped that joint as well. 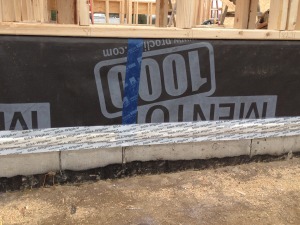 Below are the finished seals that will be hidden by the plywood sheathing. 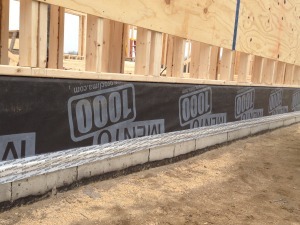 Despite using a lot of foam under and around the slab, we tried to avoid using any spray foam at all in the entire building (window installation do require small amounts of foam, however). 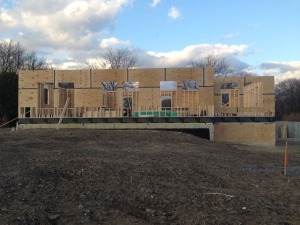 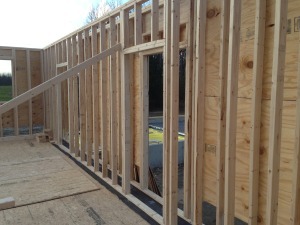 This was possible by use of a double stud wall that we could then dense pack with cellulose. 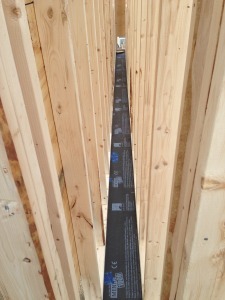 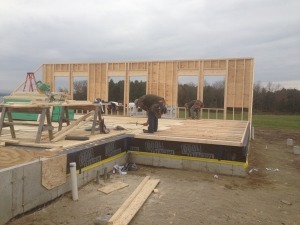 Our framing contractor, Kevin, really enjoyed building walls twice! Our wall thickness from outside of stud to outside of stud is 18″ which allowed for over R66 wall insulation, including a continuous layer (no framing).